Such a large sign! 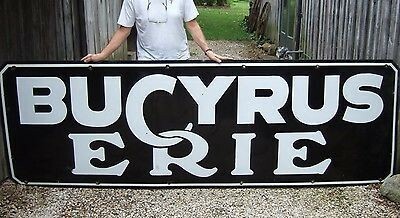 Measuring 120″ by 39″, this porcelain advertising sign is for Bucyrus Erie. The sign is black with white, intricate lettering. Within the edge of the sign is a white boarder.